Despite all the mess and the complications, God came to live among us being born in a place where animals fed. It's been on my mind over the last few days. 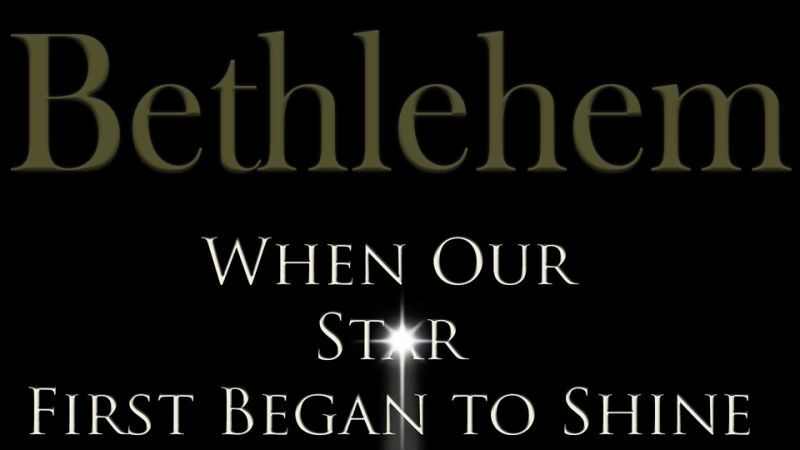 I just released a book called: Because of Bethlehem. I wrote it over a year ago, and just recently thumbed through the pages. I turned off the presidential campaign noise and turned to the Joseph and Mary narrative. I was reminded how Christ came to Bethlehem. A scandalous pregnancy, an imposed tax burden, an untimely trip, and an overcrowded inn. In spite of it — in the midst of it all — God triumphed in Mary's story. Abraham begot Isaac, Isaac begot Jacob, and Jacob begot Judah and his brothers. Judah begot Perez and Zerah by Tamar, Perez begot Hezron, and Hezron begot Ram (Matthew 1:2-4 NKJV). Obed begot Jesse, and Jesse begot David the king. David the king begot Solomon (Matthew 1:5-6 NKJV). Yawn. Let's skip to the nativity story! Who needs to know about Tamar, Rahab, and Ruth? Why does Matthew mention David and Solomon before he mentions Joseph and Mary? Jacob was the father of Joseph, who married a woman named Mary. It was Mary who gave birth to Jesus, and it is Jesus who is the Savior, the Anointed One (Matthew 1:16 The Voice). In spite of sin and scandal, Christ came. In spite of racism and sexism, Christ came. Though the people forgot God, Christ came. In spite of, and out of, the pandemonium, Christ came. And [Mary] brought forth her firstborn Son, and wrapped Him in swaddling cloths, and laid Him in a manger (Luke 2:7 NKJV). Everything happened so this moment would happen. Don't we need that reminder? It's a crazy world, for sure. But our God has a track record that is worthy of our attention. Turn your attention to Him. In our world of short nights, hard work, and high stress, don't we need to know that Jesus holds it all together? Maybe we need an early CHRISTmas this year. 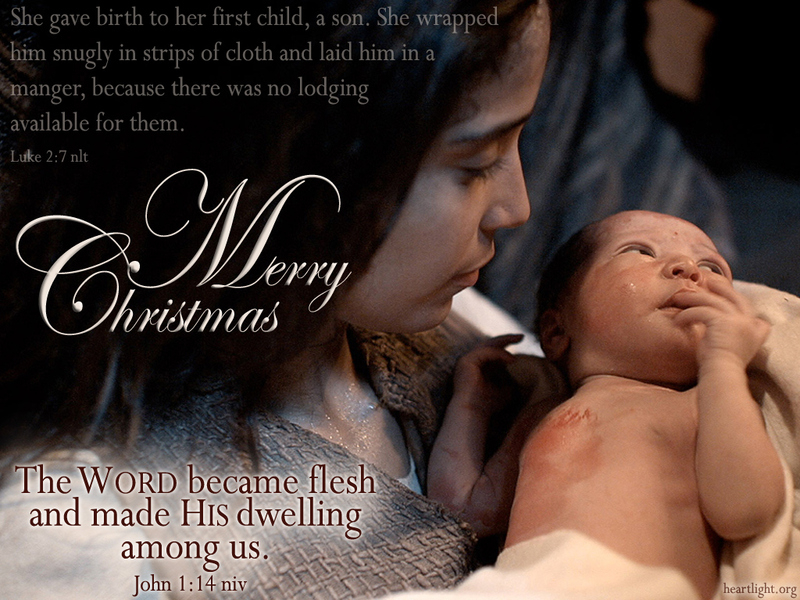 Image of Mary and baby Jesus courtesy of The Lumo Project and Free Bible Images. "An Early Christmas Would Be Nice" by Max Lucado is licensed under a Creative Commons License. Heartlight encourages you to share this material with others in church bulletins, personal emails, and other non-commercial uses. Please see our Usage Guidelines for more information.